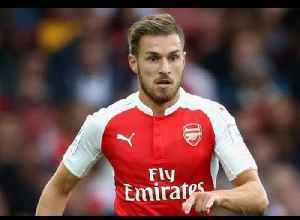 BBC Local News: South West Wales -- Ian Wright says Arsenal will be losing a “great player” when Aaron Ramsey leaves the club to join Juventus in the summer. Arsenal midfielder Aaron Ramsey has agreed to join Juventus in the summer. The Welshman has signed a pre-contract deal that will see him earn more than £400,000 a week. 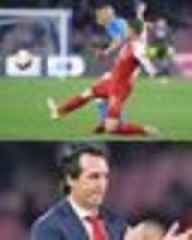 Do We Start Ozil Or Ramsey v Spurs? 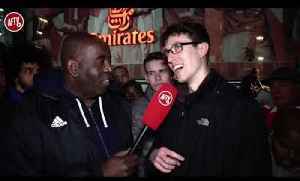 | The Supporters Club Ft Ex Arsenal Player Kevin Campbell, Claude, Turkish & Lee Judges SUPPORT THE AFTV ROAD TO 1 MIL SUBS : https://goo.gl/Zq9NcA AFTV SHOP:..
Arsenal 2-0 Everton | How Is Aaron Ramsey Getting Into This Team?! 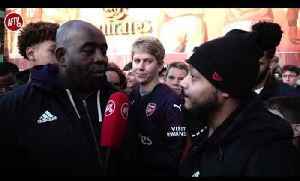 (Troopz) AFTV winner of The Best Overall Football Content Creators at The 2018/19 Football Blogging Awards AFTV is the..
Arsenal 2-0 Everton | Aaron Ramsey Has Got To Go!! 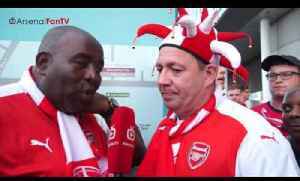 Arsenal 2-0 Everton | Aaron Ramsey Has Got To Go!! 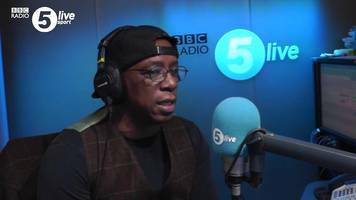 AFTV winner of The Best Overall Football Content Creators at The 2018/19 Football Blogging Awards AFTV is the Unofficial Voice of Arsenal Fans..
Why Doesn’t Arsenal Legend Ian Wright have A FIFA Card? 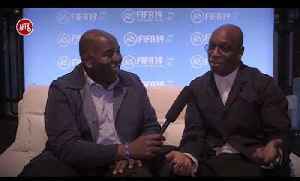 | FIFA 19 Launch ‘We went down to the EA SPORTS FIFA 19 Ratings Awards, where we caught up with Arsenal Legend Ian Wright. EA SPORTS FIFA 19..
Should Arsenal Keep Aaron Ramsey? 1. TO ENTER THE COMPETITION GO TO NB FOOTBALL HERE: (https://goo.gl/R4otRi) & SUBSCRIBE 2. THEN COMMENT ON THIS VIDEO: https://youtu.be/NO22MtJefhg AFTV ONLINE SHOP : http://goo.gl/rin8oW AFTV..